If you have ever heard any of those phrases in your classroom, you are not alone. Learned helplessness seems to be a widespread epidemic in elementary schools these days. Learned helplessness can be defined as: a condition in which a student feels powerless, and relies on the teacher or other students for help and answers. The typical characteristics of students with learned helplessness are: not paying attention when directions are given, being the first student to come up to the teacher’s desk, waiting for the teacher to come around and help, constantly raising a hand, and also verbally stating that they don’t get how to do the assignment. 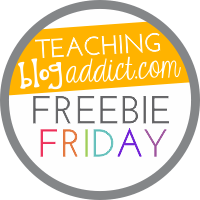 The burning question for educators is this, “What can a teacher do to change learned helplessness in the classroom?” We have come up with 5 steps to help erase learned helplessness in the classroom. It may be more work in the beginning, but once you have established a routine, teaching to the auditory, visual and kinesthetic learner will become second nature. How is this accomplished? First, the auditory part comes natural. It is when you are verbally addressing the class and giving them specific directions. (see The Parrot Approach below for more on this). Visually, you will want to have written or typed directions posted either on the document camera, whiteboard, or chalkboard. Sometimes those visual learners tune out what you are saying, so you need to have directions posted. For the kinesthetic learner, use the first to five approach. Based on the students’ level of understanding of the directions they can show you five fingers if they understand, and a fist if they don’t. It is a quick and effective check of the class. Repeat, repeat, repeat. After you have given directions, have the students repeat them. Usually, most teachers pick one student to do this. You want them ALL to be able to repeat what is expected. In order to do this, keep your directions simple and in easy to remember steps. If there are too many directions, then the task is probably to difficult to do independently anyway. As a teacher you need to model how to solve a problem. If you know what the problems will be ahead of time, model aloud in front of the class ways to solve the problem. Whether it be following written directions, solving a math problem, getting stuck on a writing assignment, or adhering to project guidelines, doing a think aloud on potential problems can be a game changer for your sanity. Before releasing the students to independent work time, you MUST check their level of understanding. If you did not teach the lesson clearly enough, that it is on you if there are tons of questions. You can use the fist to five method mentioned in #1 above. You could also have students repeat the directions to a classmate sitting close by. Another reality check option would be to underline or highlight the directions they are to do if it is a written task. Another strategy that has proven effective is to set a timer for 3 minutes. The students cannot come up to you for help during those three minutes. They have to use their own brains to figure out what they need to do. If your directions were clear, the students should know what to do. After three minutes, if a student has a question, have them ask a classmate for help. Instead of letting them choose a friend, which could teach them to wait for three minutes so they can talk with their friend, have a few designated helpers each day who they could go to for assistance. 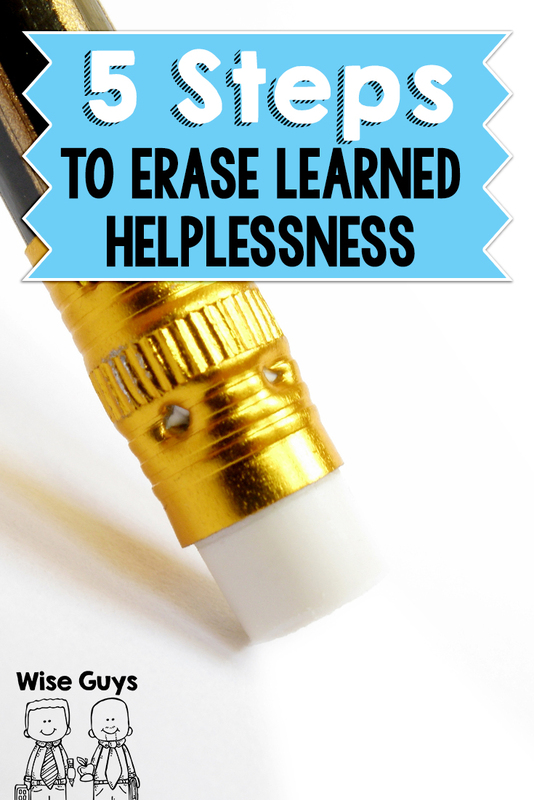 These are our top 5 methods on how to decrease learned helplessness. We would love to hear what has worked for you in your classroom. Please leave a comment. We’d love to hear your strategies! Love the strategies. Another suggestion, when roaming the class be sure to leave your pencil at your desk and don’t pick up the students. Have them do the work, the temptation to “show the student”. Thanks for sharing on this topic. Excellent suggestions! Start this today. Explain to students that you a starting a new classroom routine. Great way to start the New Year! Students are on their way to being in the next grade level, so you are helping them to practice being an independent learner. Step number two was a good reminder for this old teacher! Thanks Pam for your comments! Great ideas! I often give each student a “Question” ticket for an assessment or assignment I want them to complete independently. I tell the students they can only ask one question during the assignment so they should save it for the question with which they have the most difficulty. When they know they are limited to one question they are forced to have to try it on their own. That is a good strategy too! Interesting. In grade school, back in the middle ages when I attended, all teachers wrote instructional directions on the blackboard. Sometimes if they were long or involved, a sheet of paper was handed out or the teacher wrote them out on the board before class in the morning. I am not a teacher, but find new teaching methods interesting . When my son was in first grade, his teacher told me that when Sesame Street started “helping” children learn, she had many more problems with kids not thinking about how to solve problems. They just waited for someone to tell them the answers….”like they do on TV” was a common phrase in her classroom. Her opinion was it took her longer and more repetition and “Parroting” to get the children into the idea of independent thinking. This is great!! I can’t wait to put these steps into place in my classroom. I can see giving a ticket good Ford just one question during an independent activity. I’m interested in reading this. However, I now have to save it, then remember to make time with the pc and try to remember that I saved this to read later. Would you consider the possibility that it would be useful to have the content of your site mobile device compatible? Kind regards. Great post! … so important for classroom learning. I use all of these regularly, and number 5 is one of the most effective for my high schoolers. The timer, I’ve found, is a great tool to keep my students (and me) on task and managing our time efficiently. Great Ideas!! I have used most of them. The one I have not used is setting the timer for 3 minutes. This is a fabulous idea, but what is even better is having 3 students assigned to the position. This will eliminate friends talking to friends about non school related topics during this instruction. I am looking forward to trying this strategy. I have always written out instructions on the board ( or handed out printed copies ) and then read over the key points with the class before I release them to start working. I STILL have kids say I don’t understand. I have found that asking them about the instructions they were supposed to read has really helped turn the responsibility back to them. It catches those who have the habit of zoning out while you give directions , ignoring the written directions and expecting you to stop and repeat everything just for them. I ask them “which step of your instructions are you stuck on ?” or ” can you read me the part of the instructions you are having trouble with ?” When they finally get it that the instructions are ” required reading” , it stops a lot of the learned helplessness. I use a timer all the time with my high schoolers too!! I also like the idea of a question ticket where they have to evaluate which question they want to ask is most important.